ORION: Prelude :: In 2012 we released one of the worst games of all time. In 2012 we released one of the worst games of all time. Support Developers who support their fans. 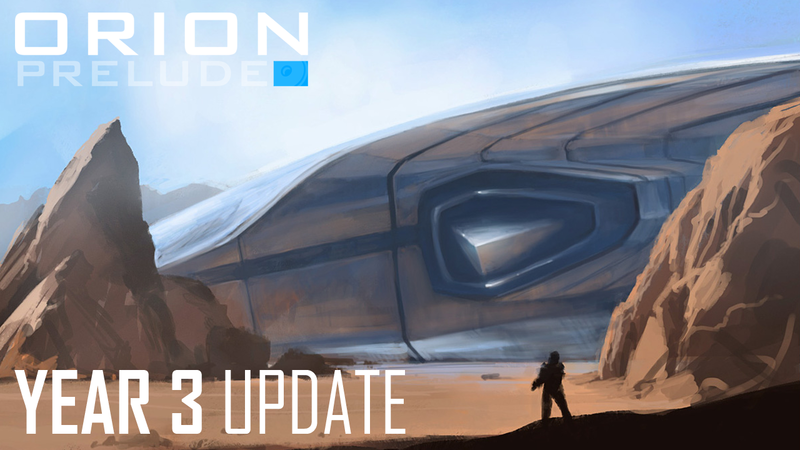 We are celebrating three years of FREE post-release support on 'ORION: Prelude' and we are releasing the 'Year 3 Update' to coincide. We are launching a F2P event to coincide with this. Please help us spread the word! This new update includes two brand new Survival Co-Op maps, remastered Weapon SFX and a Version 3.0 game update. the game is extremely silly and stupid and i like it. is there something wrong with me??? Had no intention of buying this before seeing the Year 3 Update trailer. Now, I can't wait for the installation to finish. Good job for being awesome, developers. You guys restore my faith in the world. Keep up the great work! Great work! bought the 4 pack after watching the video. Glad to see how its will not die, i just love exploding some dino heads!!! Flamethrowers + Dinosaurs. Whats not to love.